These are some of the cultivars and hybrids that I have grown. The Royal Horticultural Society’s Award of Garden Merit (RHS AGM). 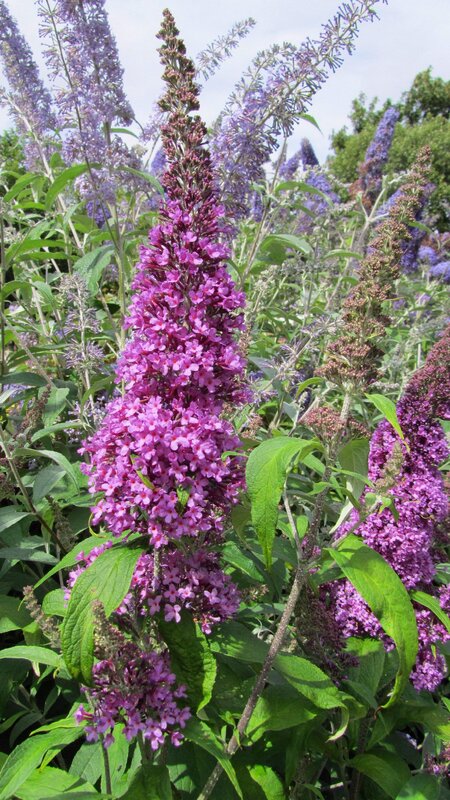 Any cultivar with this symbol has been awarded the RHS Award of Garden Merit because it has proved to be reliable in appropriate conditions and a good performing plant. Some cultivars are subject to Plant Breeders' Rights (identified in the text by PBR), which means they should not be propagated without a licence where a small fee is payable to the breeder. 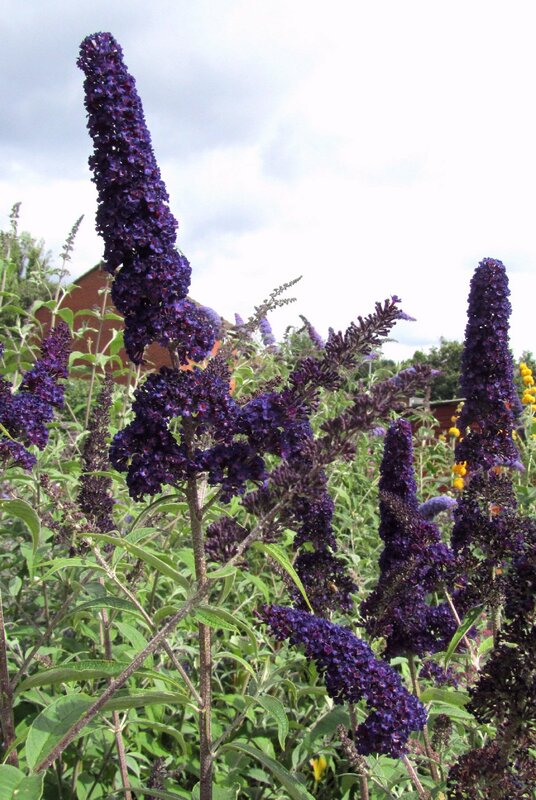 One of the darker cultivars with rich purple flowers. A tall plant. 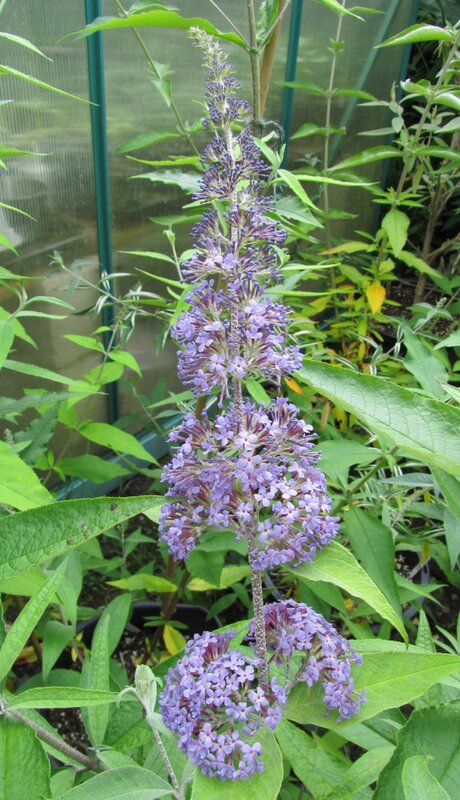 A very late flowering plant, not classified as a B. davidii although it looks like one. Also called Clive Farrell and Beijing. 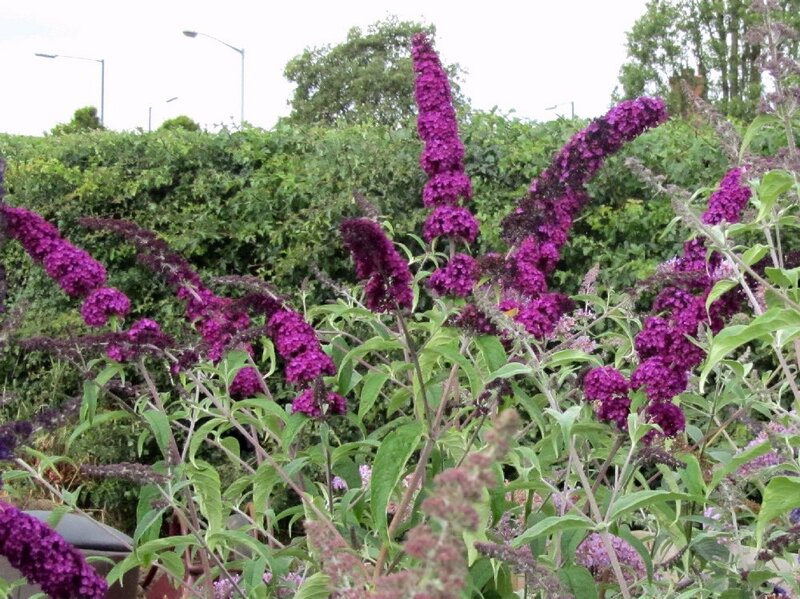 Probably the darkest Buddleja of all, deep deep colour and strong honeyed scent. The flowers have less of a red shade when compared to African Queen and bigger orange eyes. It can become a large shrub, almost a tree unless kept well pruned. 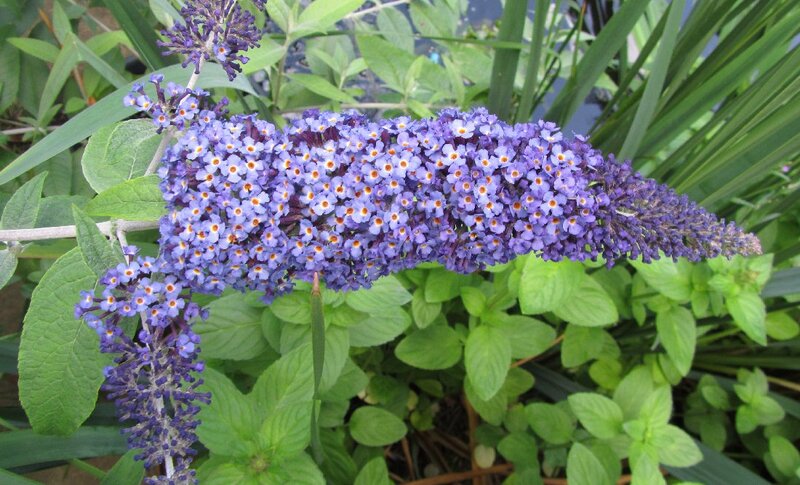 Just awarded an AGM by the RHS, this is a much better blue cultivar than Empire Blue. 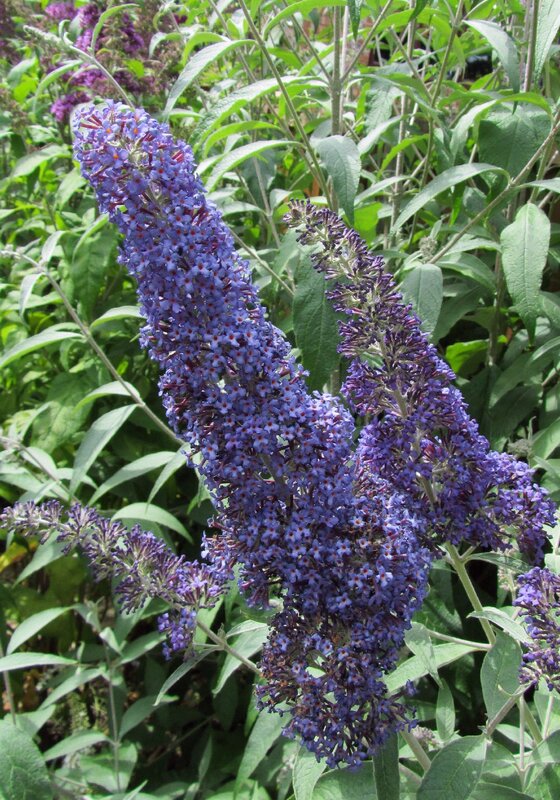 A Very upright plant with flowers that are probably the truest blue of any. 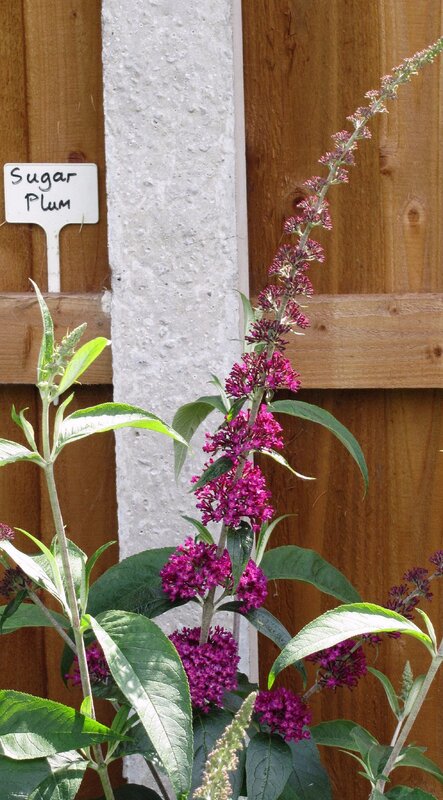 One of the better purple-pinks, upright growth habit and dark stems. Some confusion with the name - sometimes mistaken for Boskoop Beauty. 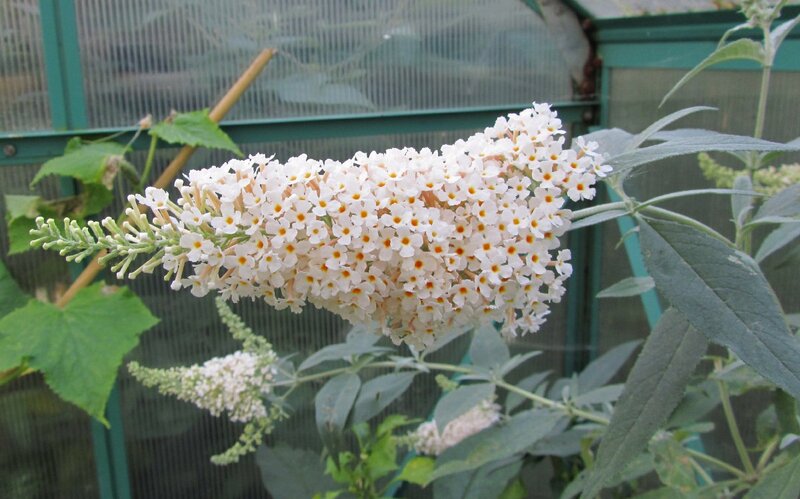 A new white Buddleja found growing wild in Kent. Long panicles and good growth habit. Just awarded a RHS AGM. 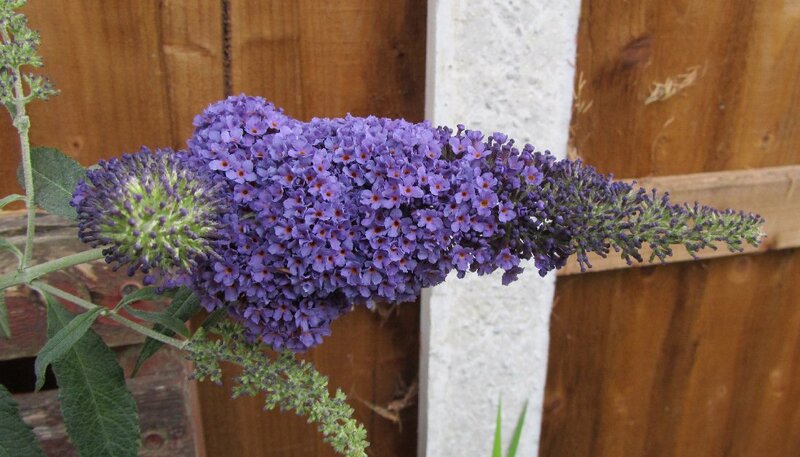 Unusual large branched flowers. 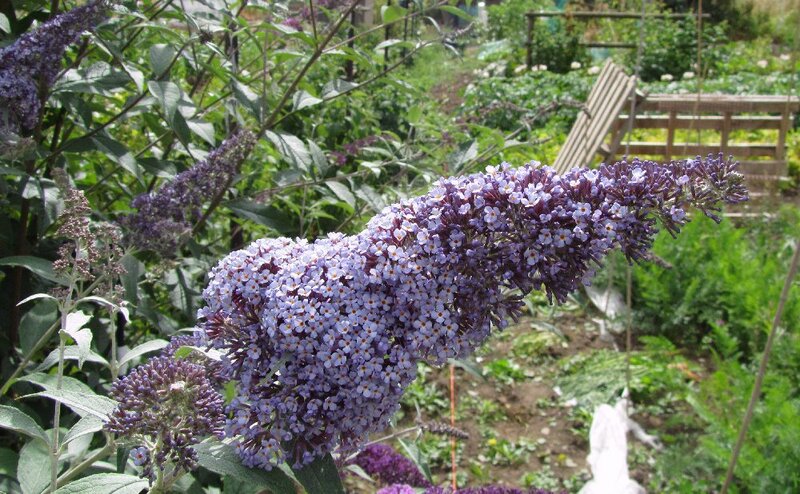 This is a very large spreading cultivar, often with a rather lax habit but no other has flowers of this size. 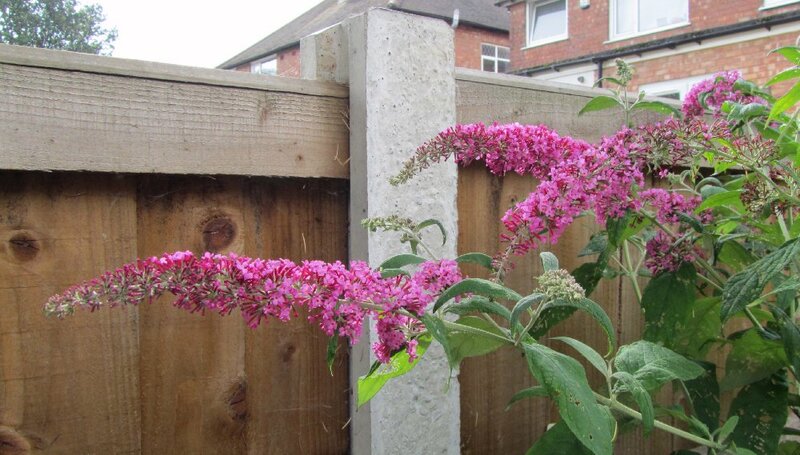 Sadly, the colour is pretty much as the feral Buddlejas seen everywhere. Has RHS AGM. 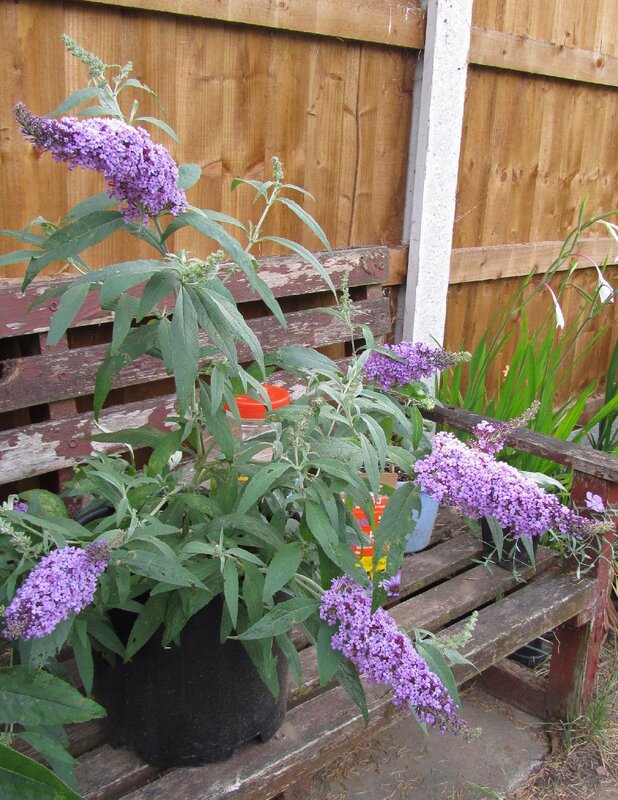 A fairly restrained Buddleja with good grey-green foliage and pale bluish-lilac flowers. It forms a neat bush if pruned regularly. From America, this is probably a seedling of Lochinch. Very dark violet-blue flowers. Awarded the RHS AGM subject to availability. 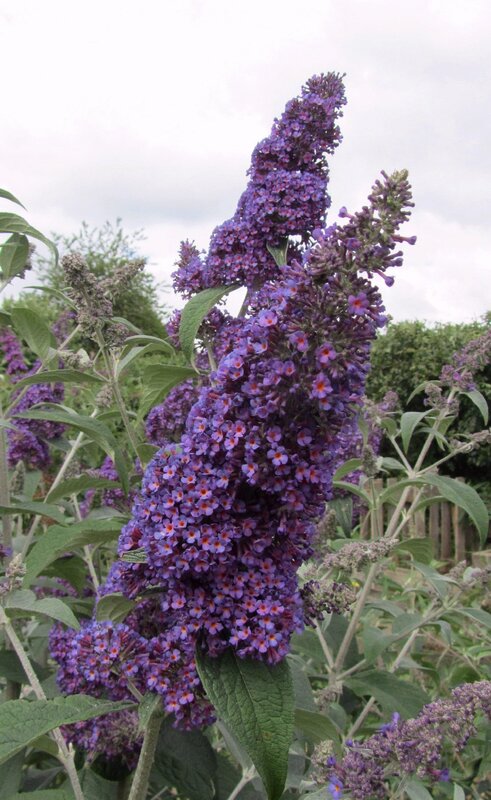 Once the only choice of blue Buddleja, actually more of a very deep violet. 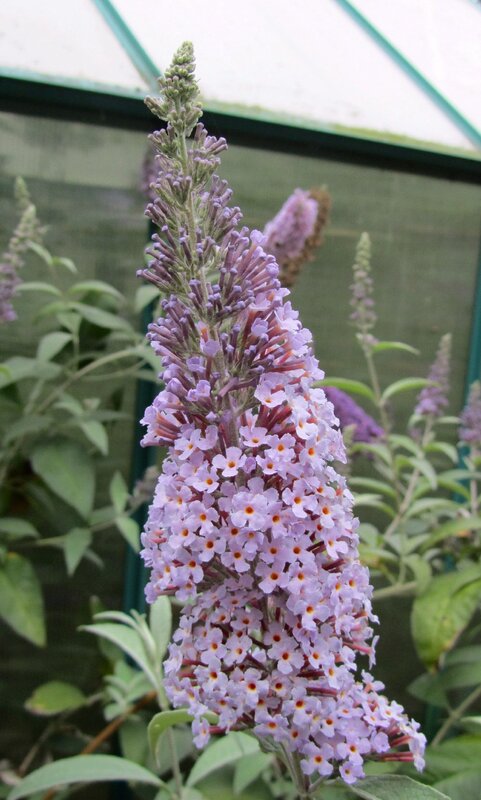 Flowers are small but finely scented and the plant has an excellent upright habit for a large cultivar. Now put on the 'Sunset List' by the RHS so could soon lose the AGM. 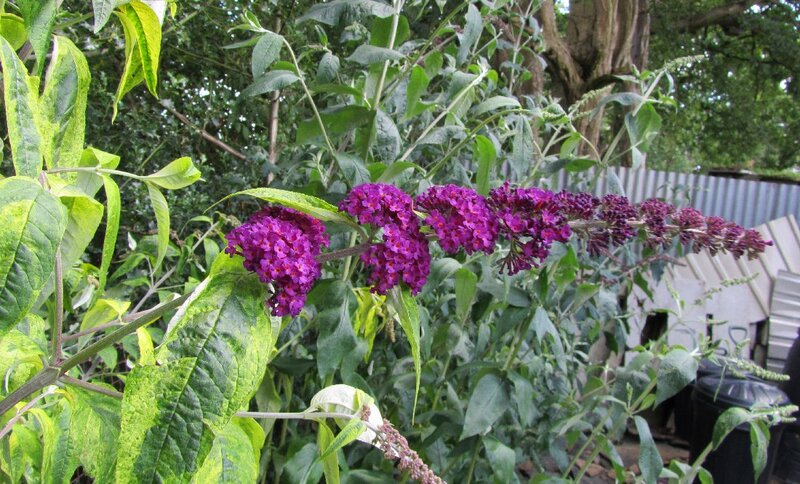 Nice long panicles, usually with two round bunches of flowers at the base. The leaves show Nanhoensis in its ancestry. Striking branched grey-blue flowers, like a blue Dartmoor. Opens with darker flowers that fade to the characteristic grey. Can get large and spreading if not pruned. 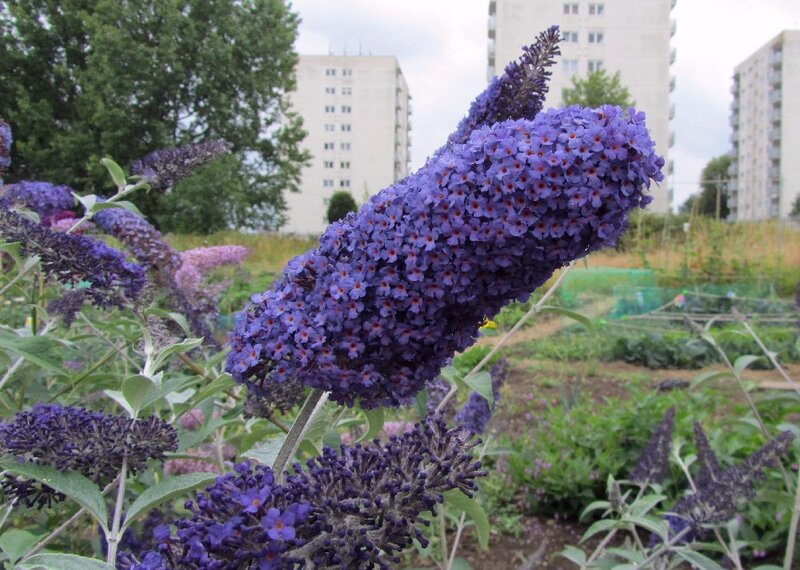 Many plants claim to be the true Ile de France and confusion reigns. 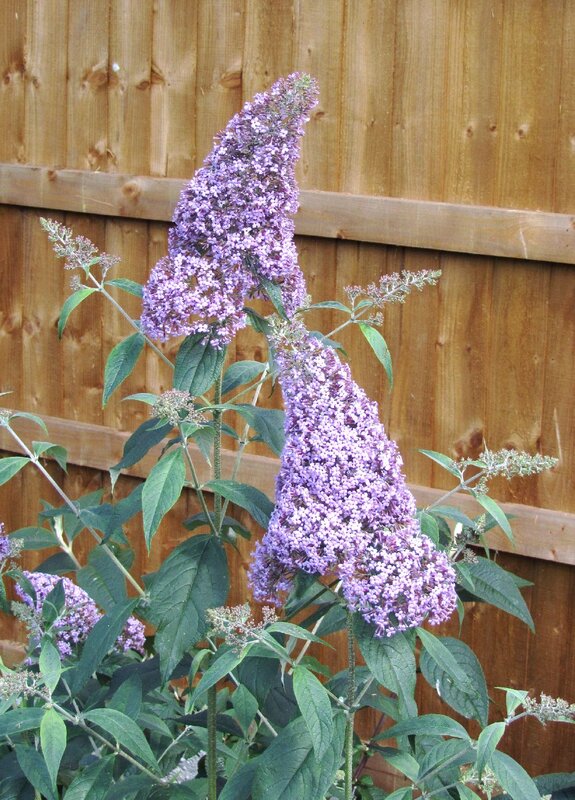 Mine is an upright shrub with dark-lilac to purple flowers. A large plant with decent flowers. The palest lilac you can get without actually being white. Also has much paler foliage, almost lime green, than normal. 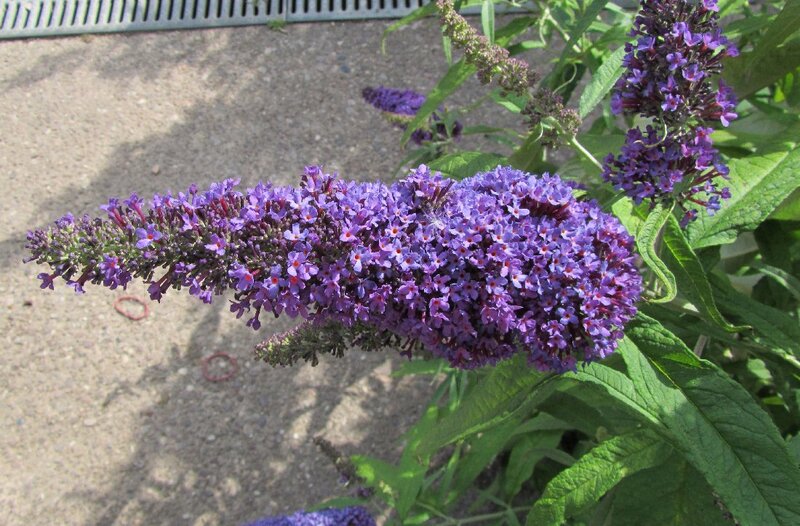 A cultivar from the National Collection at the Lavender Garden, Gloucestershire. 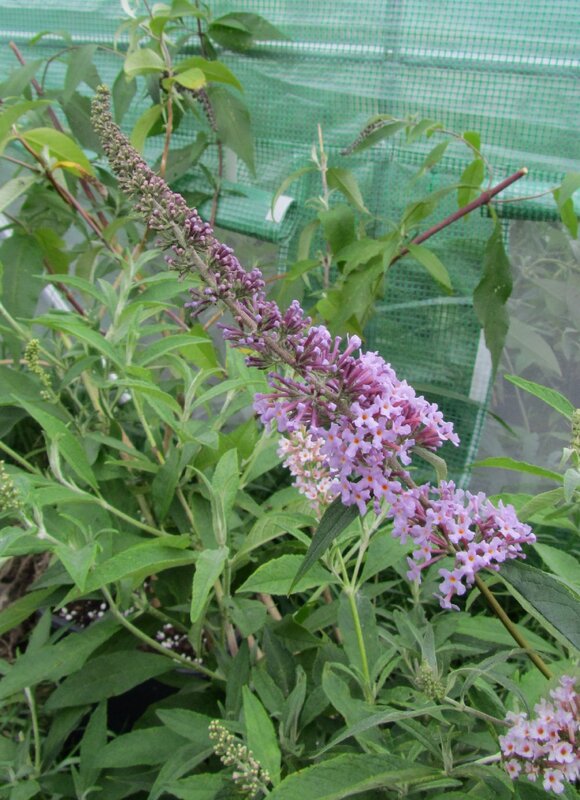 Nice pale, creamy lilac flowers with good pale foliage. Wide rather than tall, not likely to exceed 2 metres in height. 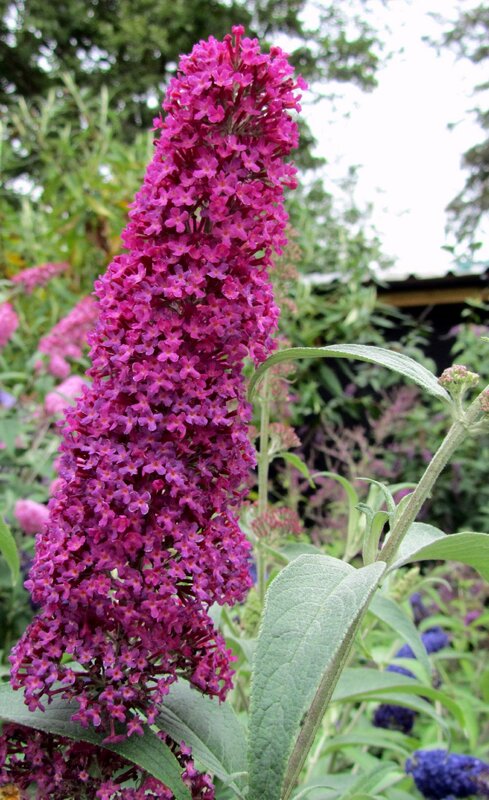 A new 'red' cultivar from the USA and available in the UK from Bransford-Webbs. Supposed to be the most red, but it is actually a very fetching deep pink. Sugar Plum below is much closer to a true red. It says on the label that it should stay relatively small. PBR. This is a new floriferous dwarf from Holland described as having pink-purple flowers and lime-green to yellow foliage, which is its main selling point. It comes from Plantipp Nurseries, Netherlands. 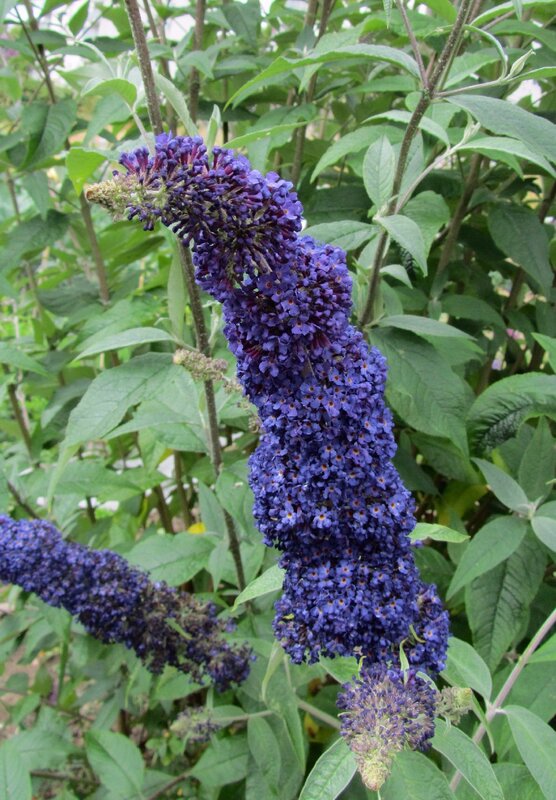 One of the earliest cultivars, Nanho Blue has small dark grey-green leaves and long denim-blue flowers. 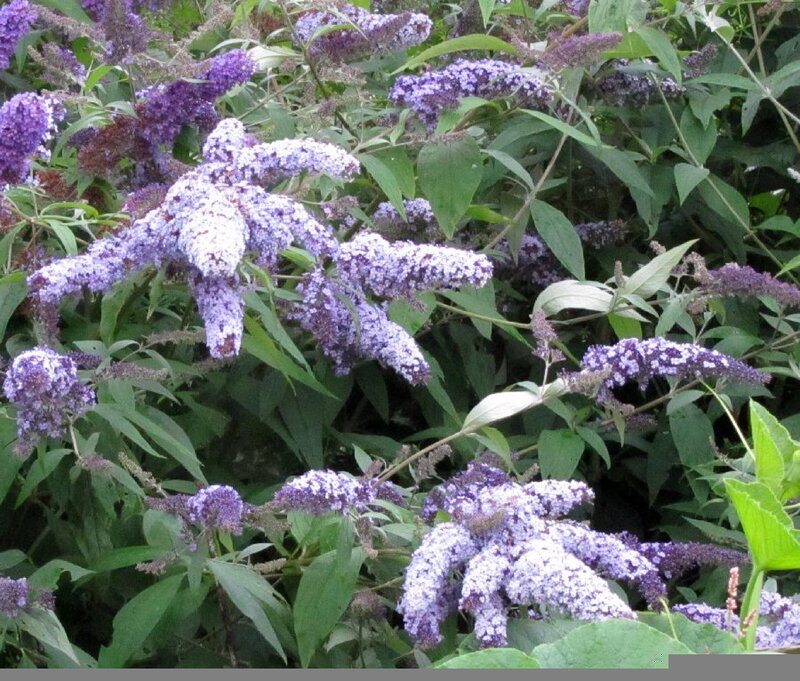 Small if pruned properly, but a messy and straggly shrub if not. In autumn it developes winter foliage which is intensely grey on attractive bronze stems. 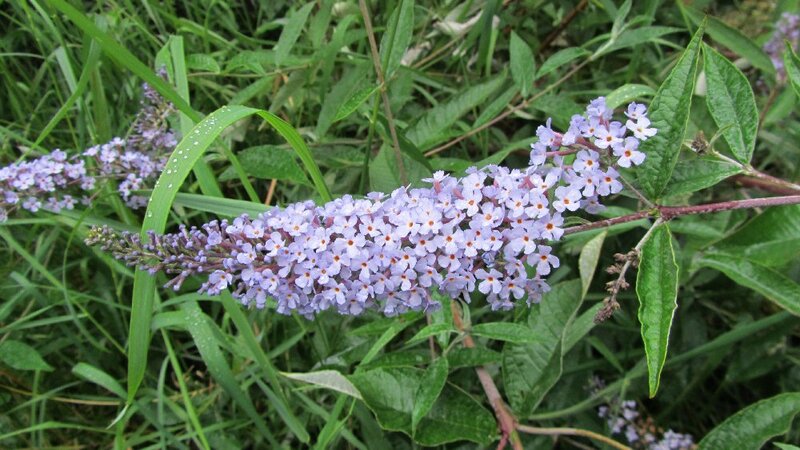 Other names have been used for this cultivar: Mongo; Nanho Petite Indigo; Petite Indigo. Now put on the 'Sunset list' by the RHS so could lose the RHS AGM. 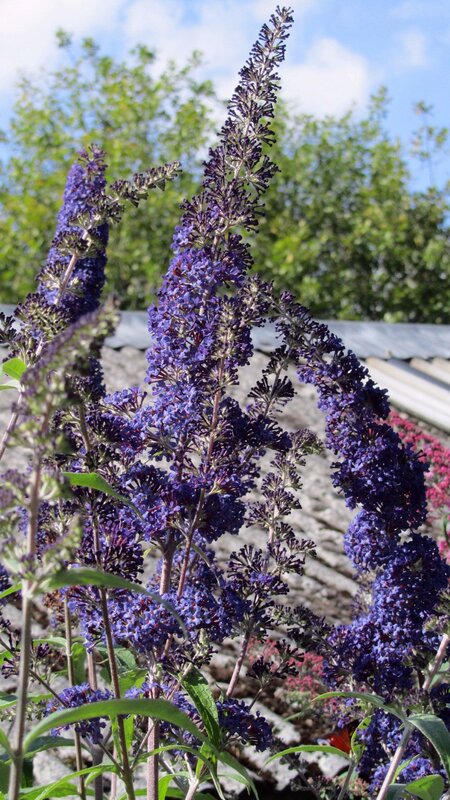 A cross between Nanho Blue and Royal Red, Nanho Purple has the small grey leaves of the Nanohoensis sub-species and bright arching purple flowers. Also named: Monum; Nanho Petite Plum; Petite Purple. Yet another great cultivar from the Lavender Garden. The colour of the flowers and the plant are very like Blue Horizon. But the flowers have a distinctive white eye around the orange centre. 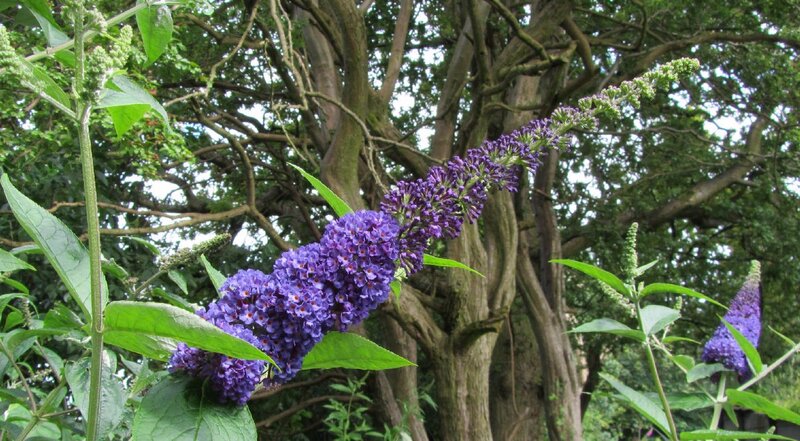 Deep blue-purple flowers, branched like Dartmoor. Very interesting flowers but the plant has trouble supporting their weight so it does tend to flop. 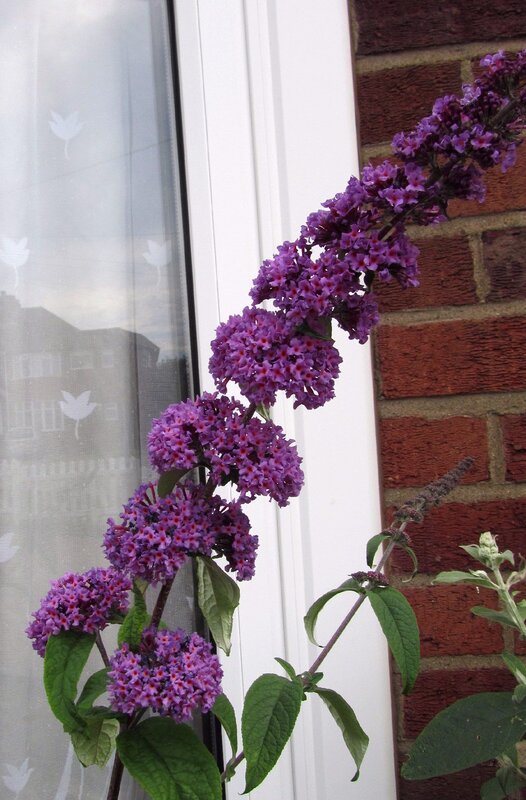 Another excellent plant from the Lavender Garden. 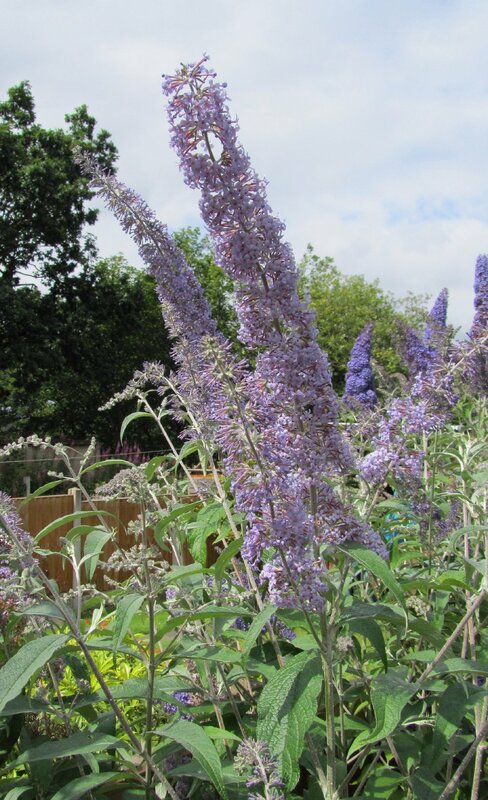 Soft green-grey foliage, excellent upright shape and uniform mauve flowers with an intense red eye. 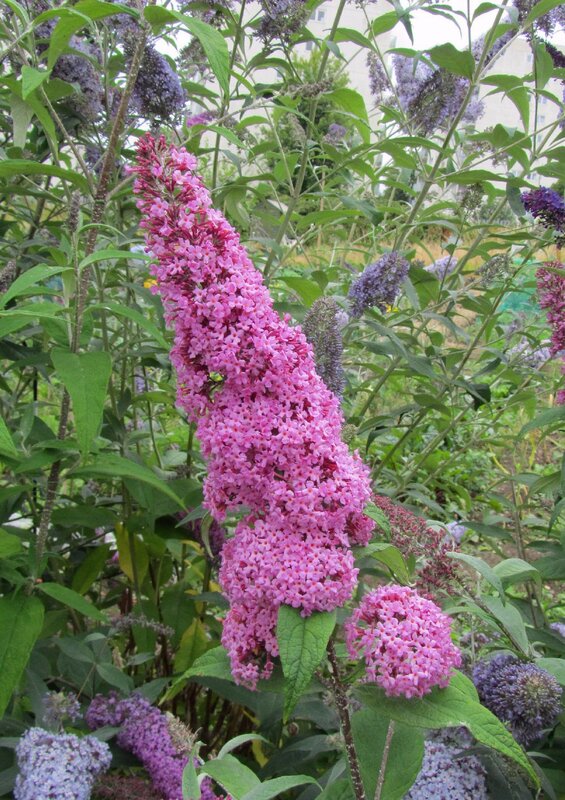 Probably the best pink cultivar with big brash flowers. Neat bush with greyish foliage from its B.fallowiana ancestry. 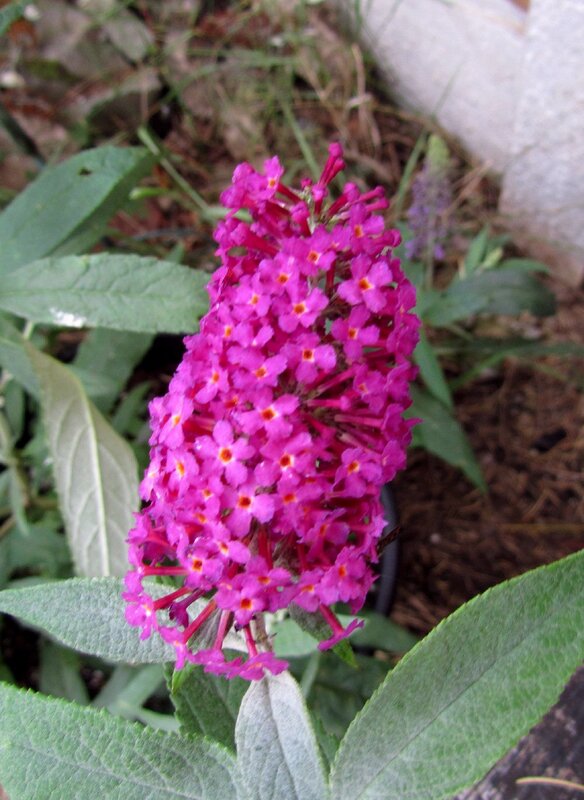 Other pink cultivars such as Pink Perfection and Pink Charming seem to be the same plant. Also call Pink Spreader. Deeper than Pink Delight, it has a really luminous colour. This is not a common cultivar despite the eye-catching flowers. Apparently given to a spreading rather than upright habit, hence the name. Not pixie in size, actually a rather big cultivar. The light blue panicles are shaped like pixie hats, possibly? The same as Dart's Papillon Bleu, as perhaps it should be more properly known. Still one of the best colours going, Royal Red dates back to the 1920s. 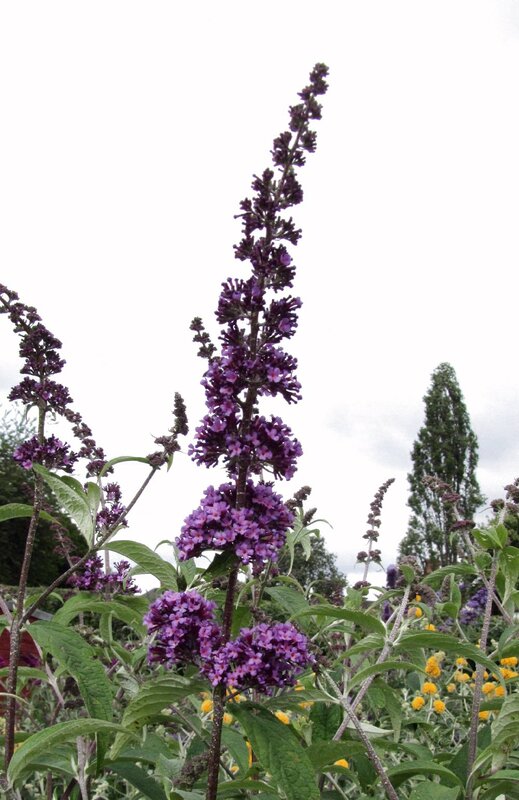 Tall plant with large flowers of a rich maroon-purple. 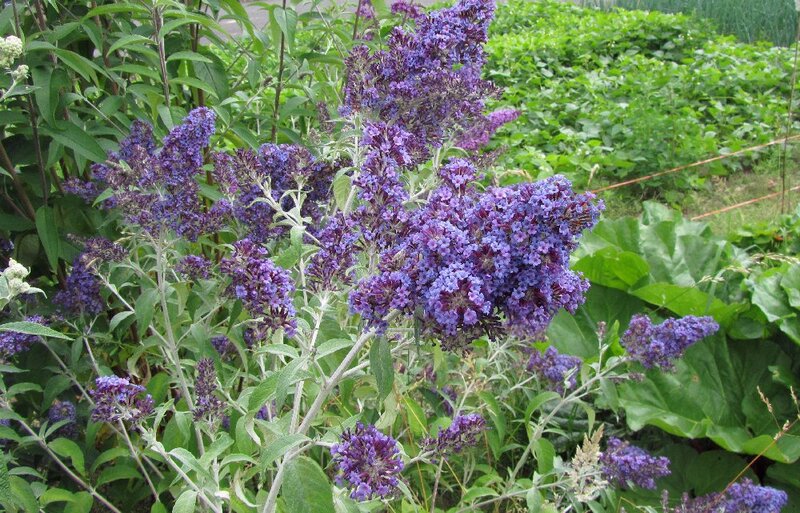 Yet another from the Lavender Garden, mid-blue, grey foliage and upright habit. The petals of the individual florets are reflexed, giving the panicle a unique look. A sibling of Pink Delight with deep rose pink flowers on a small and upright shrub. 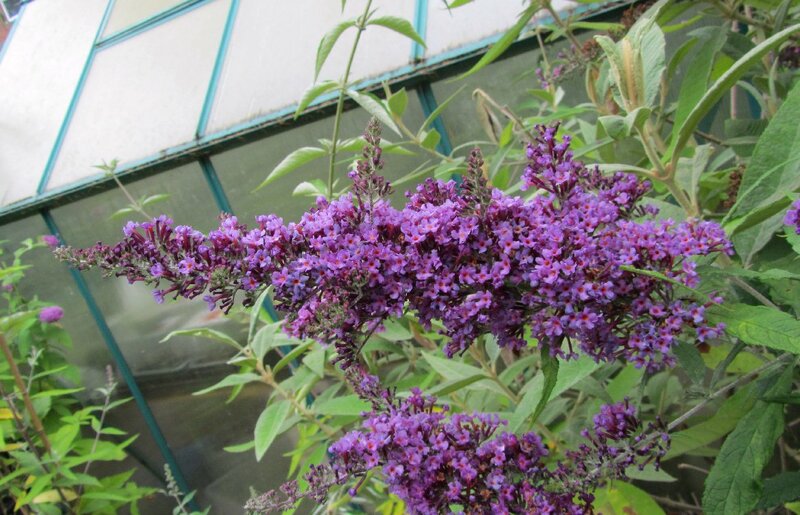 One of the best colours of any Buddleja but the plant can be sensitive and it is about the only B. davidii cultivar where it is difficult to strike cuttings. Which probably explains why it isn't more common. Both Sugar Plum and Miss Ruby are similar. 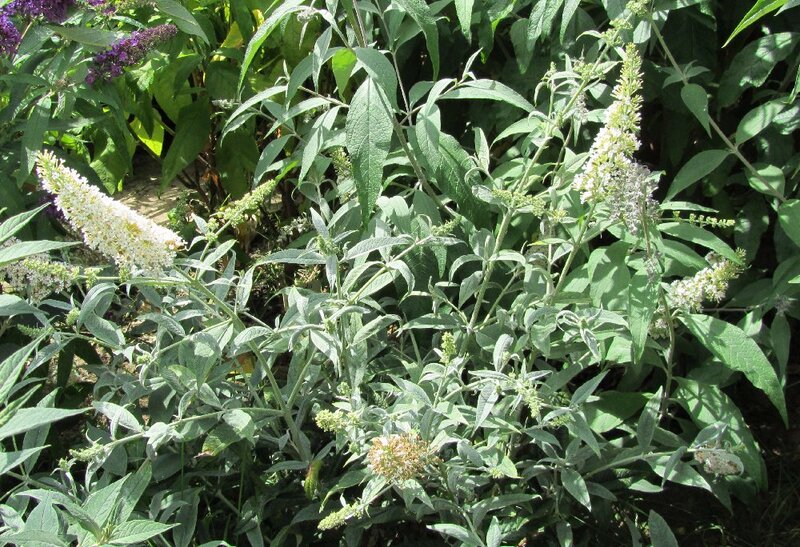 Pale blue flowers, compact bush and dark grey-green foliage. A random seedling from the Longstock National Collection. This looks like there is some Nanhoensis in the background with small leaves. It grows larger, though. 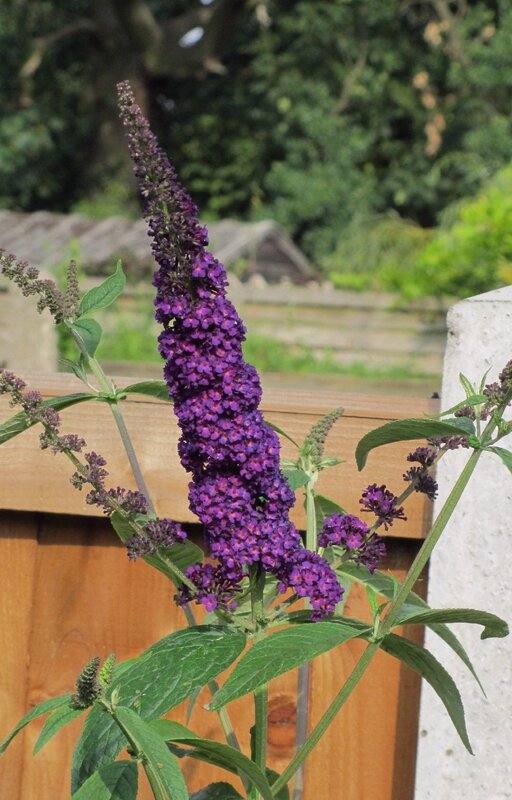 The flowers appear to be dark purple/blue but on closer inspection have an interesting mosaic effect of blue and purple florets. Actually, this mosaic-look is a fairly common phenomenon but Two Tones is more consistant than average. 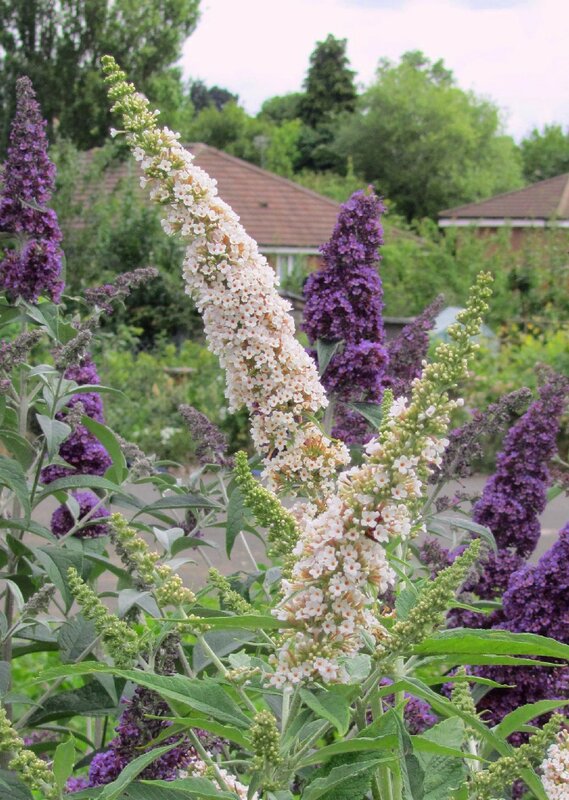 It's a white Buddleja with nice big flowers and an AGM from the RHS. The flowers are quite refined with a small yellow eye. 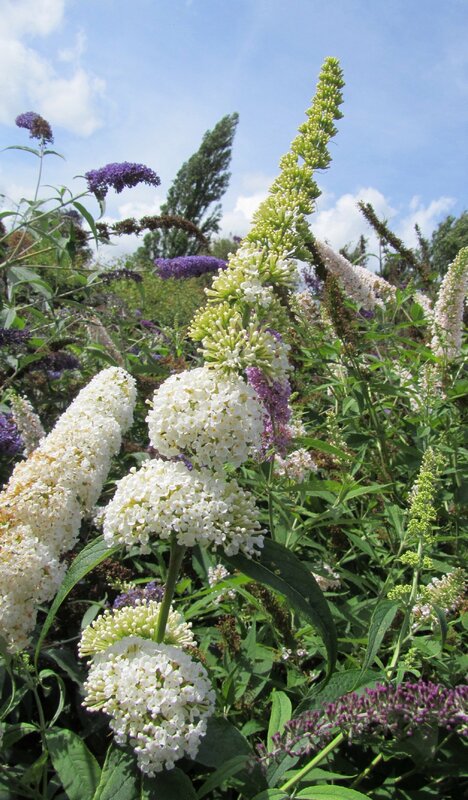 Although it will grow large it is more upright and the flowers held more erect than many white cultivars. 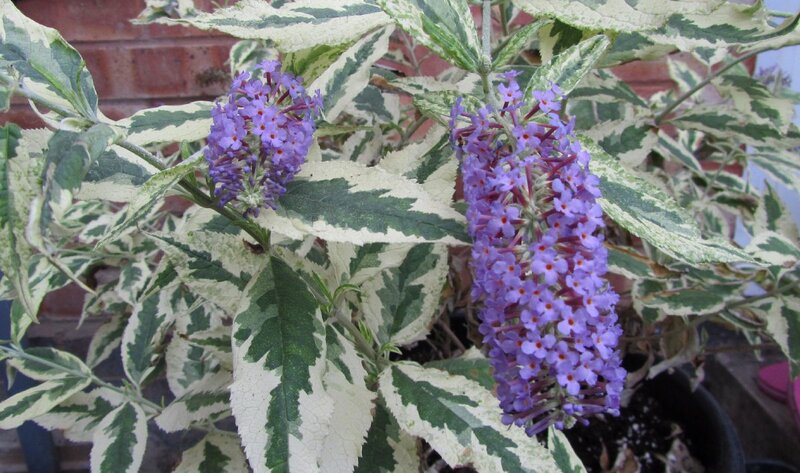 A cultivar from Blooms that appears to be a dwarf variety but otherwise quite similar to Variegata. I have found it a bit delicate. 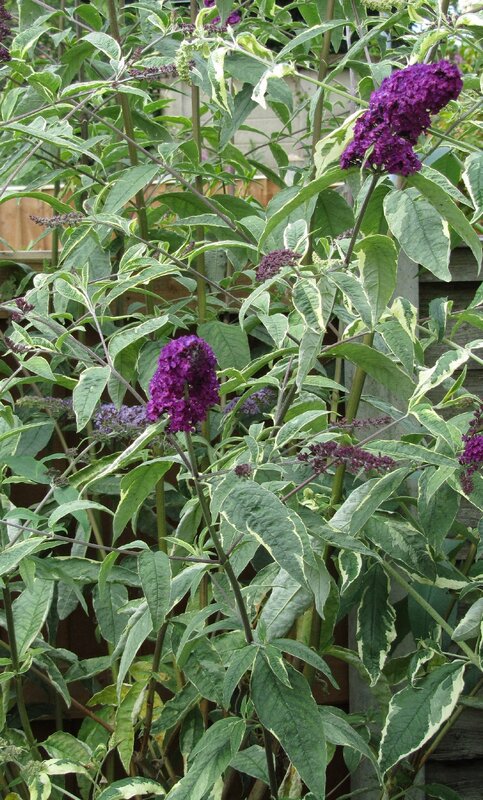 The original variegated Buddleja. It is probably a sport of Royal Red but the flowers have a slighty different hue. It is prone to reversion so watch out for those all-green shoots. The white leaf margins are smaller than on Variegata. Masquerade (syn. Notbud) is supposed to be an improvement but as I have not seen it sold for a while so it probably isn't. Red Admiral and Royal Red Variegata are similar or even the same plant. A different type of variegation this time. Leaves have green centres with variable wide yellow margins. Probably a sport from Royal Red again and, like Harlequin, the flowers are smaller as well as a slightly changed shade of maroon. Reversion happens in Santana, too. Leila Kapila is a very similar plant with even less green to the leaves, if you can believe there is a real difference. Much deeper white variegation than others. Variegata seems to be the same as Florence. A very small plant, ball shaped, with small perfectly white flowers. 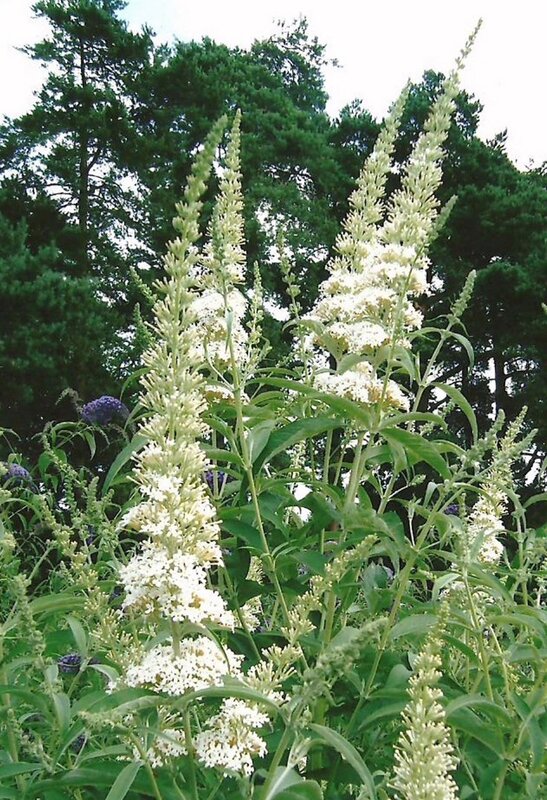 It is an example of a genetic trait called congested-growth which is usually linked to white flowers. Developed at the East Malling Research Station in Kent by Elizabeth Keep, these are smaller compact shrubs which flower profusely. All have alternative trade-names and have PBR. Marbled White or MARKEEP (not shown) is an fine white cultivar. syn.- ADOKEEP. The darkest navy blue on a small bush. Only downside is a slightly open habit rather than a nice dense shrub. syn.- CAMKEEP. Just awarded AGM by the RHS. Described as being like a miniature Dartmoor. The foliage has serrated edges and it stays quite small like all the Butterfly series. 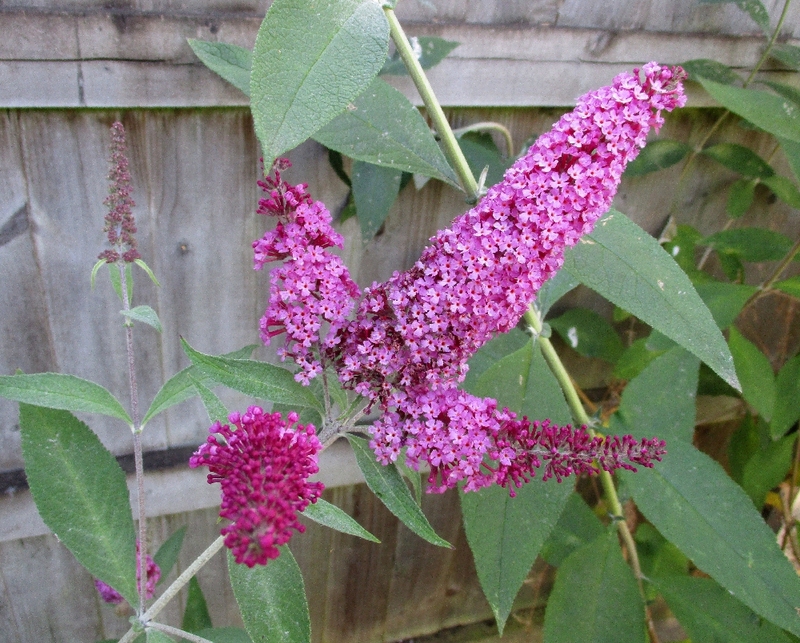 The flowers are branched but disappointing as they do not open all together on the panicle. 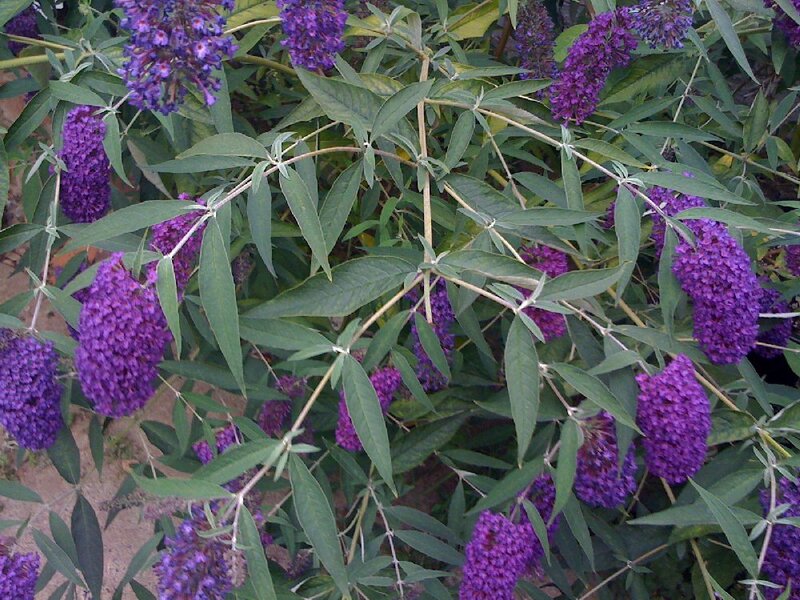 Peacock Lilac pink syn.- PEAKEEP. A good deep pink on a smallish bush. Flowers are big for the size of shrub but the foliage does yellow badly come Septemeber. syn.- PYRKEEP. Easily the best of the series. 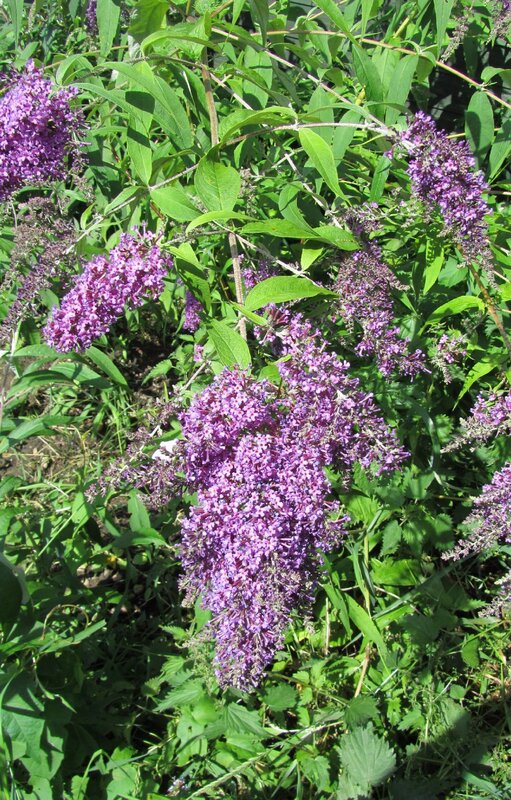 Abundant purple blooms on a small shrub, the leaves are uniquely long and thin. 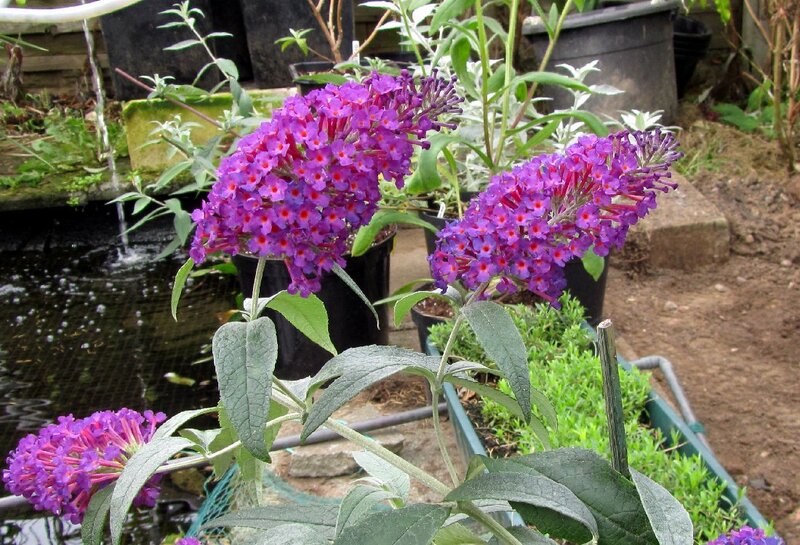 Bred at Thompson & Morgan, these are super-small Buddlejas suitable for containers. 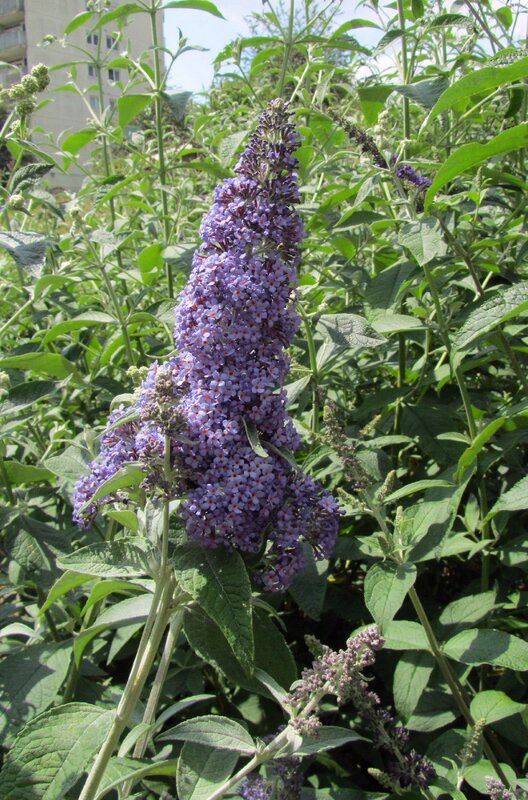 Unlike the complex hybrid 'Lo and Behold Blue Chip' these are carefully selected B. davidii. 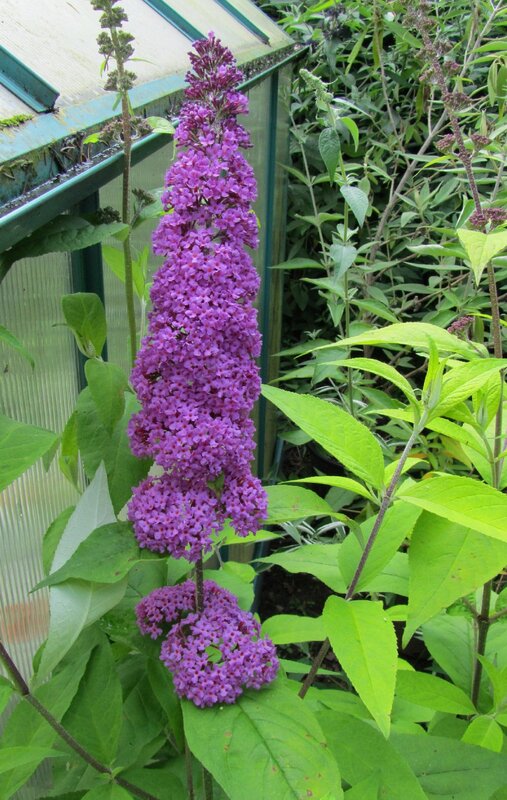 Not expected to get above 1.2 metres (or 4ft in old money) but they can be profuse bloomers. The colours below are those available readily in th UK, but I believe there are a few more around. All are subject to Plant Breeders' Rights (PBR). Small with white flowers. I've found it difficult to establish. Flower colour is average but remarkably big blooms on such a small plant. Flowers are bright magenta, like a tiny Royal Red. 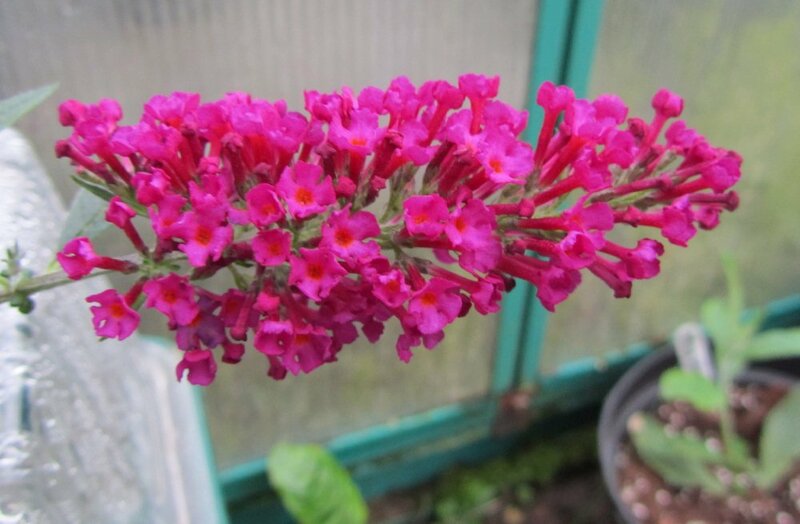 The brightest cerise pink flowers. Latest release, also called Buzz Velvet. Sky-blue? 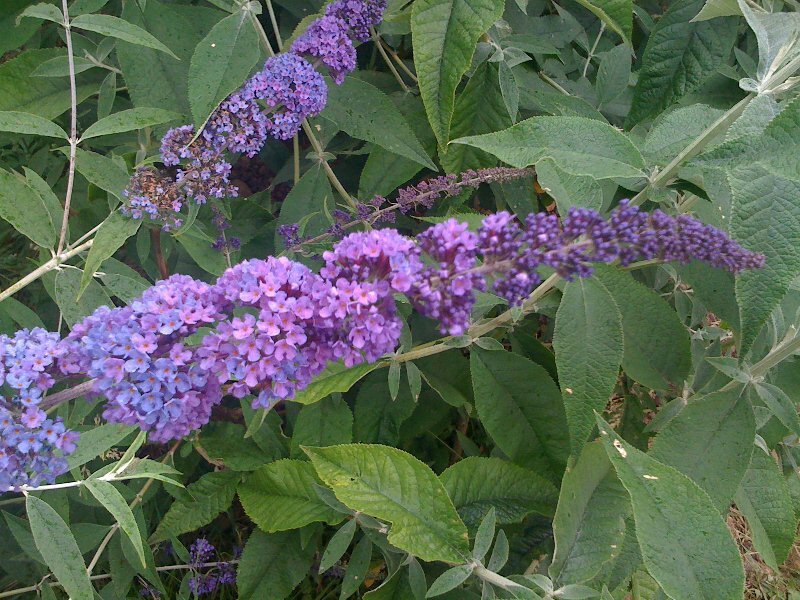 Actually purple flowers that fade gradually to a lighter violet. Great flowers on a remarkably small plant. Bright pink flowers and an upright growth habit. Although described as a B.fallowiana hybrid, I have my doubts. Pale powder blue flowers on a small spreading shrub with foliage and a growth habit that resembles the Nanhoensis type. 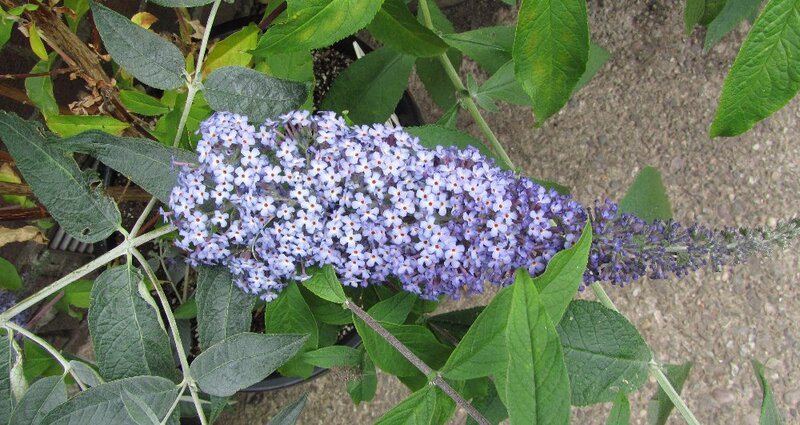 A popular hybrid with nice light grey leaves and pale blue flowers. Good shape bush, too. A sibling of Lochinch. 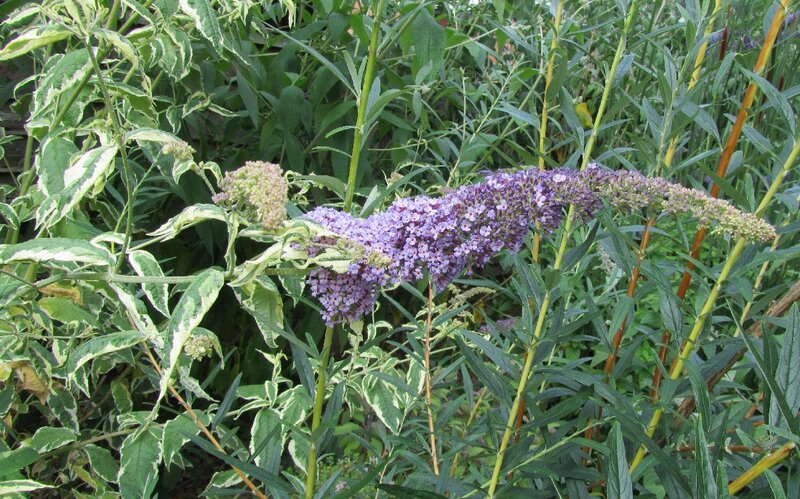 It's a more vigorous shrub with lilac to pale blue flowers. The panicle are long and open giving them a feathery look. The B.x weyeriana hybrids are on a separate page as there is much to say about them.